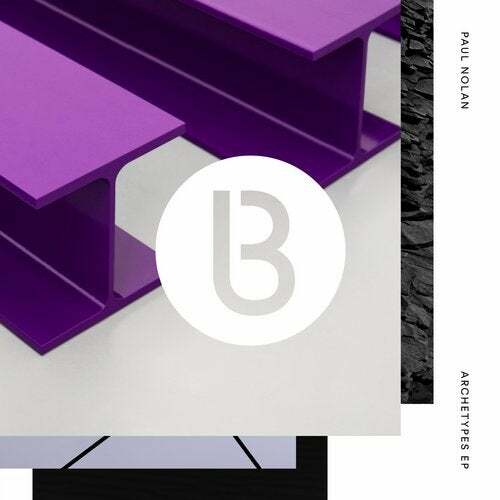 A self-proclaimed pescatarian yoga nerd with a penchant for Techno, Liverpool-based DJ/Producer Paul Nolan makes his artist debut on Bedrock with the stunning Archetypes EP. You've probably been listening and dancing to Paul Nolan for many years, but you might not have realised it. As a co-founder of the highly rated Chapter 24 Records, audio engineer to various legendary electronic artists, and as a renowned artist development guru, Paul has spent a decade working stealthily behind the scenes and leaving his indelible mark on the dance music landscape. Now, he is finally stepping out of the shadows to shine a spotlight on his unbridled artistic talents. Paul is a prime example of an artist unafraid to push the boundaries whilst simultaneously delivering that essential emotional, physical and spiritual payoff on the dancefloor - an attitude that matches perfectly with Bedrocks forward-thinking creative ethos. The masterful simmering structure of Form Constants ebbs and flows and builds to a series of deliciously euphoric soaring crescendos that are simply irresistible. Meanwhile, Warrior is a decidedly different, yet no less engrossing beast a staccato alarm call to action powered by distinctive melodic percussion and wave after wave of monstrously dominant synth action. It is no wonder that Pauls production, engineering, mixing and mastering skills are so revered within the scene. An intrepid and fearless attitude to sound design and pushing sonic boundaries led him to work as an engineer, sound designer and programmer for Sasha's critically and commercially acclaimed Late Night Tales album 'Scene Delete in 2016 (behind the scenes feature here: https://www.youtube.com/watch?v=MoulSQAedfo) and work with numerous other artists, including the likes of Arthur Baker, The Martinez Brothers, JunkieXL, Rob Garza of Thievery Corporation and Hollywood film composer Jeff Rona. Now that he is finally stepping into the spotlight (and with an Asia Tour already under his belt), next comes a US DJ Tour taking place in early 2019, alongside a host of productions and remixes waiting in wings to be unveiled. Paul Nolan is primed to move to the forefront of the scene that he has tirelessly dedicated himself to for the past decade and the future looks very bright indeed.